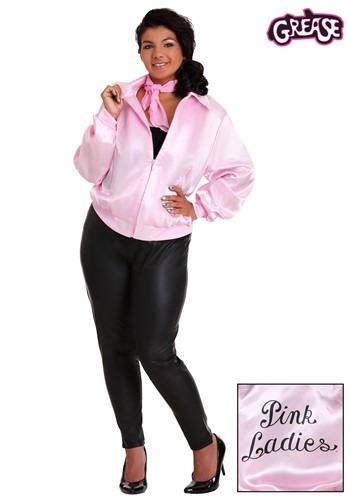 Grease Plus Size Pink Ladies Jacket By: Bayi Co. for the 2015 Costume season. Rydell High's cool clique wants you! To join them you'll need this Grease Plus Size Pink Ladies Jacket. Then you'll fit right in. "Grease" really is the word!